Pokémon Go fans get one more surprise in this holiday season as Apple Watch now supports the popular adventure game. 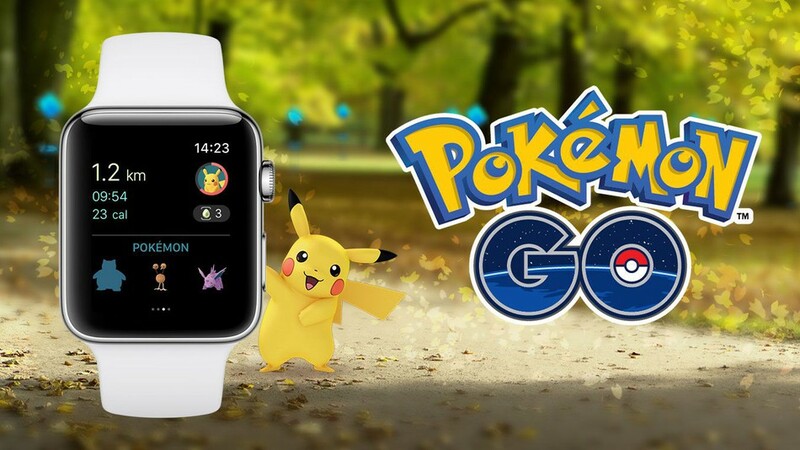 The Pokémon Go app for Apple Watch is a stripped down companion to the smartphone game. You can't actually use it to catch Pokémon, but it plugs in to virtually every other facet of the game. Notifications let players know about nearby Pokémon and PokéStops, as well as eggs that are ready to hatch. You can also collect PokéStop items from the app and check your progress toward hatching eggs or collecting candy from your Buddy Pokémon. Since Apple Watch is a fitness-friendly wearable, you can also log Pokémon Go gameplay sessions toward your daily Activity Ring progress. Just like the smartphone version, the Apple Watch app is available for download FREE of charge. It's been a busy few months for Pokémon Go fans. There were special in-game events that kicked off around Halloween and Thanksgiving overseas, the long-hoped-for arrival of Ditto, the game's official launch in India and a whole new set of Pokémon to capture. All that activity — including the new Apple Watch availability — is a positive sign for Pokémon Go's 2017 prospects. Especially following the months-long lull after the game's instantaneous post-launch success seemingly ground developer Niantic's continued work to a halt. The Pokémon Go app for Apple Watch should be available in the App Store now - Go check it out.